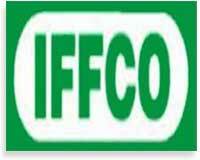 Indian Farmers Fertiliser Cooperative Limited, which is also known IFFCO, is the world's largest fertilizer cooperative federation which is based in India which is registered as a Multistate Cooperative Society. IFFCO has 40,000 member cooperatives. IFFCO has been ranked 37 in top companies in India in 2011 by Fortune India 500 list. IFFCO organisation's mission is "to enable Indian farmers to prosper through timely supply of reliable, high quality agricultural inputs and services in an environmentally sustainable manner and to undertake other activitities to improve their welfare". During the 1960's cooperative sector in India was mainly responsible for the distribution of 70 per cent of the fertilizers consumed in the country. This sector had adequate infrastructure which was meant to distribute fertilizers but had no production facilities of its own and hence was dependent on public/private sectors for supplies. To overcome this difficulty and to bridge the demand supply gap in the country, a new cooperative society was conceived to specifically cater to the needs of farmers. It was a unique venture in which the farmers of the country through their own cooperative societies created this new institution to safeguard their interests. The number of cooperative societies which are associated with IFFCO have risen from 57 in 1967 to more than 39,800 at present. Indian Farmers Fertiliser Cooperative Limited (IFFCO) was registered on November 3, 1967 as a Multi-unit Co-operative Society. On the enactment of the important Multistate Cooperative Societies Act in 1984 and in 2002, the Society is deemed to be registered as a Multistate Cooperative Society. The Society is primarily engaged in the production and distribution of fertilisers. The bylaws of the Society provide a broad frame work for the activities of IFFCO as a cooperative society. IFFCO Phulpur Unit -1. Its one of the 5 factories owned by IFFCO. Established in 1980 over the years 2004 and 2005, IFFCO has emerged as a cooperative in true spirit. IFFCO is now entirely owned by most of the cooperatives and has become a cooperative of the farmers, by the farmers and for the farmers. Initially, IFFCO commissioned an ammonia - urea complex at Kalol and the NPK/DAP plant at Kandla both in the state of Gujarat in 1975. Another ammonia - urea complex was set up at Phulpur in the state of Uttar Pradesh in 1981. The ammonia - urea unit at Aonla was commissioned in 1988. IFFCO has acquired an NPK/DAP and Phosphoric acid fertiliser unit at Paradeep in Orissa in September 2005. The marketing of IFFCO's products is channelized through cooperative societies and institutional agencies in over 28 states and union territories of India. To achieve its mission, IFFCO as a cooperative society, undertakes several activities covering a broad spectrum of areas to promote the welfare of member cooperatives and farmers. The activities envisaged which are to be covered are exhaustively defined in IFFCO's Bye-laws. The objective of IFFCO shall be to promote the economic interest of its members by conducting its affairs in professional, democratic and autonomous manner through self help and mutual cooperation for undertaking manufacture/production/development of chemical fertilisers, bio-fertilisers, petrochemicals, refining industrial chemicals, and hydrocarbon, their inputs and technologies, and allied products/bye-products and conversion, storage, transportation and marketing; undertaking manufacture/processing/conversion of farm and forestry products, bio-technology, pisciculture and acqua-farming, agriculture machinery and implements and other agricultural inputs/outputs and their conversion, storage, transportation and marketing and undertake trading, shipping, transportation, communication and telecommunication, information technology, power generation and distribution from conventional or non-conventional energy sources, housing, real estate, construction, banking and insurance and to undertake such other activities which are conducive and incidental thereto. (i) to set up Plant or Plants for manufacturing of chemical fertilisers and allied products/bye-products. (ii) to undertake production, processing and also manufacture of insecticides, pesticides, seeds, agricultural machinery and implements and other agricultural production requisites by setting up or taking on lease manufacturing units either directly or in collaboration with or as a joint venture with other Cooperative Institution/Public Sector Enterprise or any other agency. (iii) to acquire, establish, construct, provide and maintain and administer factories, townships, estates, railway sidings, build yards, wells, water reservoirs, channels, pumping installations, purification plants, pipe lines, carriages, storage sheds and accommodation of all descriptions for facilitating the business of IFFCO. (iv) to manufacture, store, maintain, sell, buy, repair, alter, exchange, let on hire, export, import and deal in all kinds of articles and things which may be required for the purpose of any of the business of IFFCO or are commonly supplied or dealt in by persons engaged in any such business or which may seem capable of being profitably dealt in connection with any of the business of IFFCO. (v) to act as warehousing agency under the Warehousing Act and own and construct its own godowns or hire godowns for the storage of fertiliser and other goods. (vi) to set up storage units for storing fertilisers and other goods by itself or in collaboration with any other Cooperative Institution or any other agency. (vii) to maintain transport units of its own or in collaboration with any other organisation in India or abroad for movement of goods by land and sea, etc. (viii) to acquire, take on lease or hire land, buildings, fixtures and vehicles and to sell, give on lease or hire them for the business of IFFCO. (ix) to promote and organise other Cooperative Societies which are in the field of manufacturing, production and marketing of fertilisers and other agricultural production requisites. (xi) to enter into the contracts and collaboration for purchases, production, manufacture and marketing of raw materials, auxiliary products, packing materials, finished products, bye-products and other waste products and also enter into joint marketing and product exchange agreements with other Cooperative Institutions, Public Sector Undertakings or any other agency. (xii) to enter into collaboration with Cooperatives or others in India or in foreign countries for machinery and equipment, and for technical know-how, consultancy, designing, engineering, construction, erection, operation and maintenance of fertiliser, chemical and other Plants and marketing of the produce of the same. (xiii) to provide technical consultancy and other services to member societies and other agencies. (xiv) to set up agricultural farms by purchasing, acquiring and taking on lease of land from Government Institution and private agency for research and development of agriculture. (xv) to set up institutes for providing training to the farmers and others in the modern and improved agricultural technology and other areas of Human Resource Development. (xvi) to provide and arrange for the training of employees of the Cooperative Societies to promote and develop the sales of fertiliser and other agricultural production requisites in which IFFCO is interested. (xvii) to take up such other activities which are incidental and conducive to agriculture and rural development. (xxix) to promote subsidiary institutions for the purpose of furthering the objects of IFFCO. The thirst for ever improving the services to farmers and member co-operatives is insatiable, commitment to quality is insurmountable and harnessing of mother earths' bounty to drive hunger away from India in an ecologically sustainable manner is the prime mission. All that IFFCO cherishes in exchange is an everlasting smile on the face of Indian Farmer who forms the moving spirit behind this mission. IFFCO has made strategic investments in several joint ventures. Indian Potash Limited in India, Industries Chimiques du Senegal (ICS) in Senegal and Oman India Fertiliser Company (OMIFCO) in Oman are important fertiliser joint ventures. Indo Egyptian Fertiliser Company (IEFCO) in Egypt, Jordan India Fertiliser Company in Jordan are under implementation. As part of strategic diversification, IFFCO has entered into several key sectors. IFFCO-Tokio General Insurance Ltd (ITGI) is a foray into general insurance sector. Through ITGI, IFFCO has formulated new services of benefit to farmers. 'Sankat Haran Bima Yojana' provides free insurance cover to farmers along with each bag of IFFCO fertiliser purchased. To take the benefits of emerging concepts most of the agricultural commodity trading, IFFCO has purchased equity in National Commodity and mostly like the Derivatives Exchange (NCDEX) and National Collateral Management Services Limited (NCMSL). IFFCO Chattisgarh Power Limited (ICPL) which is the only implementation is yet another foray to move into core area of power. IFFCO Kisan Sanchar Ltd (IKSL) is a Telecom initiative for Rural India. IFFCO is developing the multi-product KISAN Special Economic Zone (IKSEZ) at Nellore in Andhra Pradesh - first of its kind with farmer's cooperatives as stakeholders. IFFCO is also behind several other companies with the sole intention of benefiting farmers. The distribution of IFFCO's fertiliser is undertaken through over 39,800 co-operative societies. The entire activities of Distribution, Sales and Promotion are co-ordinated by Marketing Central Office (MKCO) at New Delhi assisted by the Marketing offices in the field. In addition, essential agro-inputs for crop production are made available to the farmers through a chain of 158 Farmers Service Centre (FSC). IFFCO has promoted several institutions and organizations even to work for the welfare of farmers, strengthening cooperative movement, improve Indian agriculture. Indian Farm Forestry Development Cooperative Ltd (IFFDC), the Cooperative Rural Development Trust (CORDET), IFFCO Foundation, Kisan Sewa Trust belong to this category. An ambitious project 'ICT Initiatives for Farmers and Cooperatives' is launched to promote e-culture in rural India. IFFCO obsessively nurtures its relations with farmers and undertakes a large number of agricultural extension activities for their benefit every year. In February 2010, it was announced that IFFCO had entered into a joint venture partnership with GrowMax Agri Corp, a subsidiary of Americas Petrogas Inc.